Sandra joined Castle Craig in July 2013. Prior to Castle Craig she has been involved in education, training, counselling, supervision and has presented at conferences. She developed a project running CBT groups specifically for young people caring for those affected by addiction at home, which included family work. It was the first in England prior to publication of the ‘Hidden Harm’ document in 2003. The project was flagged up at Government area office as an example of good practice, and is still providing a service. She worked for a number of years with adolescents and adult survivors of childhood sexual abuse. She also has previous experience working in a residential rehab, along with working with couples and individuals. She has taught counselling skills and theory, and has sat on various policy making committees including the Child Protection Substance Use Committee and the DAT agency group. Sandra has also run various workshops abroad. 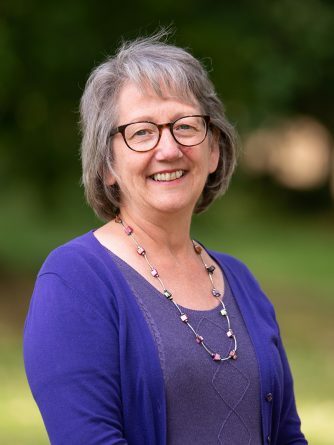 Throughout this time Sandra has obtained a: Diploma in Person Centred Counselling, a Certificate in Addiction Studies, a Postgraduate Certificate in Systemic Family Therapy, a BA (Hons) Integrative Counselling and is currently a member of BACP. In her spare time she enjoys walking with her dog, volunteering at a local organic bakery and speaking annually at a women’s conference for domestic violence and sexual abuse.